What if you came to work and found the computer had fired you? It happened. Photo by Joe Loong on Flickr. A selection of 11 links for you. Midsummer’s day! (in the north). I’m @charlesarthur on Twitter. Observations and links welcome. The incidents described in CEO Elon Musk’s email to employees and the company’s lawsuit against the former employee are jarring because they show how much access insiders have to critical systems of these vehicles, and how difficult it might be to determine whether they are altering code on machines that test the cars. Cybersecurity professionals have demonstrated how to hack into the infotainment systems of several vehicle brands over the years. These demonstrations have shown that, while it’s fairly easy to break into the computer systems that control dashboard computers, getting deeper into the systems that actually run a vehicle – and control its steering, acceleration and braking — is much harder. It is often difficult to get to these computers physically, and they typically aren’t connected to the internet or remotely available, making it necessary for an attacker to have physical access to the device. It’s even less likely outside attackers could get access to computers used in vehicle testing. But insiders have far greater access. Employees may not only have physical access to the critical systems that run manufacturing or program car components, but they may know important information that allows them to write code that can cause meaningful damage to the vehicle. despite the reporting that children were being separated from their parents and kept in detention centers, no one had seen any photographs of what was happening. The world was desperate for some images to make sense of the story: What did this look really look like? NowThis Politics rolled out the old Kamala Harris footage and it took off. In fact, the controversy became even more prominent because of that desire for visual evidence. A variety of well-known liberals including Congressman Joaquin Castro, the actress Mia Farrow, the former Los Angeles mayor Antonio Villaraigosa, and the former Obama speechwriter Jon Favreau tweeted photographs of a now-defunct detection center from 2014. Then something really important happened. President Trump stepped in to fire back at the Democrats. “Democrats mistakenly tweet 2014 pictures from Obama’s term showing children from the Border in steel cages,” Trump tweeted. “They thought it was recent pictures in order to make us look bad, but backfires. Dems must agree to Wall and new Border Protection for good of country … Bipartisan Bill!” It got nearly 30,000 retweets and 100,000 likes, planting the topic at the very top of the week’s news cycle. Strangely, but also very 2010-ishly, it was the bad information—these old photographs tweeted as new—that touched the crisis to the Trump third rail. News organizations began to throw everything they had at the story. The reporting about what was happening at the border, which had been sparse, flowed in. Note how it’s all about reporting and social media. Trump has sort-of relented and signed an Executive Order that sort-of rescinds part of the policy, but only in order to create a new legal fight. So this isn’t done yet. What it really shows is the power of Trump to put himself into a corner through a foolish tweet. The tech industry isn’t staying silent. In addition to Apple’s Tim Cook, CEOs Mark Zuckerberg (Facebook), Jack Dorsey (Twitter), Dara Khosrowshahi (Uber), Susan Wojcicki (YouTube), and others have taken to social media to speak out. Many have also pledged donations, with Zuckerberg leading a fundraising effort that has so far raised over $25,000. In a Tuesday memo to Uber employees, Uber execs said the company’s legal team is looking into connecting families with lawyers and already donated $100,000 to a nonprofit helping separated children, according to Business Insider. Other tech industry leaders that have called for change include representatives from Airbnb, Box, eBay, Cisco, and others. Tesla’s Elon Musk also expressed his support with a puzzling series of tweets. In the morning when I linked to this, I wrote: “I’m surprised this policy survived the weekend, but increasingly it feels as though it cannot survive the indignation – and funding – being aimed at it. The stain on the US administration’s character is spreading.” By the evening in the UK, it had been sort-of revoked – at least the separation part. Another day, another test of the limits of Twitter’s harassment rules. This time, Twitter’s challenge came from Gizmodo Media Group and its news and politics site Splinter, which, on Wednesday afternoon, tweeted out what it reported is White House adviser Stephen Miller’s phone number alongside a piece titled, “Here’s Stephen Miller’s Cell Phone Number, If You Need It.” Miller is the reported architect of the Trump administration’s zero tolerance immigration policy, which has resulted in the forceful separation of children from their families at the border. Countless others followed Splinter’s lead, starting with Gizmodo Media Group reporters and editors followed by other users who posted screenshots of their texts to Miller. As of this writing, a Twitter search of Miller’s number yielded hundreds of tweets containing the number, as well as users who’ve changed their Twitter display name to his number. Twitter rules forbid users to publish any private information for public and private figures alike, which includes phone numbers. Typically, this is something you might see from individuals or groups of users as a form of targeted harassment. It’s less common, however, for such information to be published by a major media outlet. A spokesperson for Twitter told BuzzFeed News that publishing Miller’s number was a violation of the company’s rules. “We are aware of this and are taking appropriate action on content that violates our Terms of Service,” the spokesperson said. Wellll.. as someone who has had their phone number tweeted (thanks Jake), I can say that Twitter acted pretty fast then to remove it. And putting Miller’s number online isn’t journalism – it doesn’t belong on a mainstream news site. Sure, Miller is a jerk. But this is harassment, not journalism. So I’m with Twitter on this one, for both reasons. Bonds for detained migrants typically range from hundreds to many thousands of dollars — amounts that might as well be in the billions for families that arrive here with next to nothing, and have whatever they brought with them confiscated by Border Patrol. So the Willners created a Facebook fundraiser over the weekend to raise $1,500 — enough to free a single migrant parent with a relatively low bond. “It was the closest thing we could do to hugging that [2-year-old] kid,” Dave Willner told the Mercury News. Five days later, the Willners have raised more than $8m and climbing — overflowing all previous optimism. “We can confirm this is one of the largest fundraisers we’ve ever seen on Facebook,” Roya Winner, a spokeswoman for the social media giant, told The Washington Post, back when the amount was less than $4m. Facebook’s founder, Mark Zuckerberg, is among the nearly 200,000 people who had contributed by Wednesday morning. Private donors have matched more than $250,000 of the total, but the Willners said the average donation is just $40. The money has come from Americans disaffected with their government, immigrants who remember their own journeys, and sympathizers from Canada to Switzerland and beyond. This is one of those occasions when any gloom about the effects of the internet is lifted, like the sun breaking through clouds. Hundreds of thousands of people contributing to make a difference, rather than tweeting about it. And even after the Executive Order about this, the benefits of the gift continue – it funds lawyers and help for people for at least a year. What then would be the ideal architecture of a video “truth” infrastructure, one that could send someone to prison for years, or exonerate someone from the same fate? Well, it would be decentralized (no single arbiter of truth) and public (we can all check it), which is precisely what Bitcoin’s blockchain provides for payments. Can the greedy bubble of Bitcoin be repurposed toward a less monetary goal? A three-year-old Austin, Texas-based company named Factom thinks so. Building on top of the existing Bitcoin infrastructure almost as if it were the network layer of a new truth web, Factom provides a streamlined way to assert the existence of a piece of data or document at a certain time. Since the blockchain isn’t designed to store reams of streaming data (e.g. a 24/7 security camera), Factom’s hashes and organizes incoming data to establish proof that some specific information exists. In practice, this would mean that, say, 10-minute blocks of video from a given camera would live inside the Factom data structure, and “truth” could be assured for that window of time, with one such assertion for a long chain of such windows stretching for however long the camera’s been recording. Factom assures what’s known as “data integrity” in both senses of the word integrity: whole and trustingly honorable. By combining that with a hardware solution that digitally signs and hashes the data instantly, right as the pixels are pulled off the camera, one can confidently claim that a video is “real” and was really taken by the camera that digitally signed the data. The Department of Homeland Security, which maintains an array of cameras and sensors along our country’s southern border, is now testing Factom’s newfangled truth recorder. The fear is that those border cameras will be hacked by sophisticated smugglers (of the drug or human variety) who buy their own cameras, wire them to show whatever false scene, and then plug them back into the DHS network. The smugglers carry on while the border’s overseers stare at a contrived scene of false tranquility. Border videos can also be used as evidence in immigration trials—another legal showcase where the juridical definition of truth is key. Having brought in more than $25m during its first month on mobile, Fortnite increased its revenue generating momentum to surpass $50m by its 45 day mark. 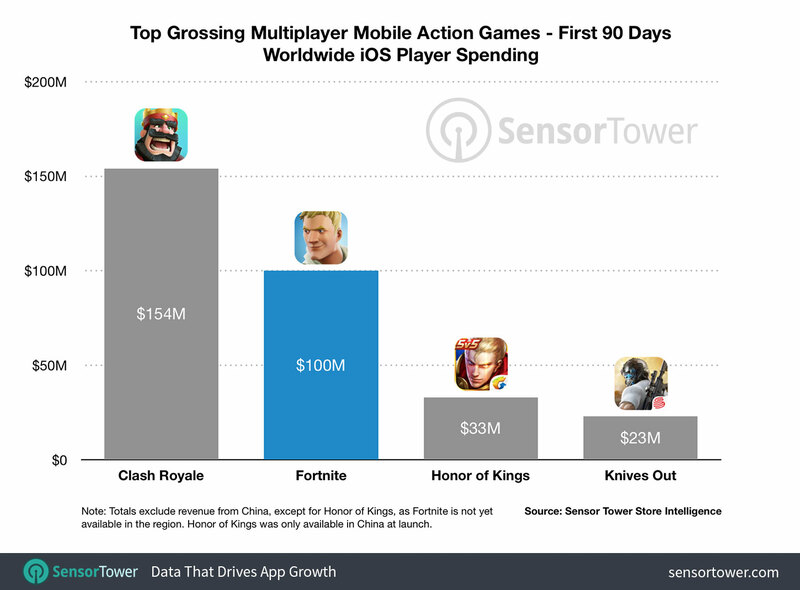 Now, three months since its March 15 launch, Sensor Tower Store Intelligence data reveals that the game—which debuted on Nintendo’s Switch console last week—has reached $100m in worldwide player spending on Apple’s mobile platform. The mobile version of Fortnite has also earned about 4.3x more than its closest revenue rival among the new breed of battle royale titles on mobile, Knives Out from NetEase. What’s more, it managed to earn approximately 65% as much as Supercell’s Clash Royale did in its first 90 days, a title that had the most successful launch in mobile gaming history next to Niantic’s Pokémon GO in terms of revenue. Once the order for employee termination is put in, the system takes over. All the necessary orders are sent automatically and each order completion triggers another order. For example, when the order for disabling my key card is sent, there is no way of it to be re-enabled. Once it is disabled, an email is sent to security about recently dismissed employees. Scanning the key card is a red flag. The order to disable my Windows account is also sent. There is also one for my JIRA account. And on and on. There is no way to stop the multi-day long process. I had to be rehired as a new employee. Meaning I had to fill up paperwork, set up direct deposit, wait for Fedex to ship a new key card. But at the end of the day the question is still, why was I terminated in the first place? I was on a three-year contract and had only worked for eight months. Just before I was hired, this company was acquired by a much larger company and I joined during the transition. My manager at the time was from the previous administration. 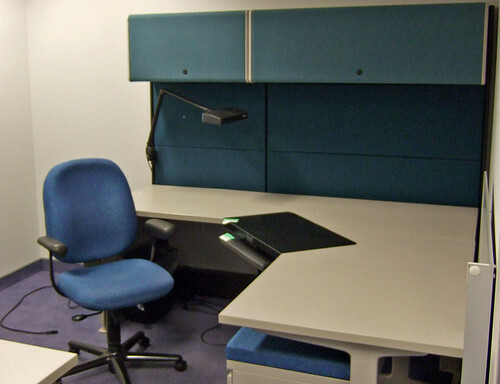 One morning I came to work to see that his desk had been wiped clean, as if he was disappeared. As a full time employee, he had been laid off. He was to work from home as a contractor for the duration of a transition. I imagine due to the shock and frustration, he decided not to do much work after that. Some of that work included renewing my contract in the new system. I was very comfortable at the job. I had learned the in-and-out of all the systems I worked on. I had made friends at work. I had created a routine around the job. I became the go-to guy. I was comfortable. When my contract expired, the machine took over and fired me. A simple automation mistake(feature) caused everything to collapse. I was escorted out of the building like a thief, I had to explain to people why I am not at work, my coworkers became distant (except my manager who was exceptionally supportive). Despite the great opportunity it was for me to work at such a big company, I decided to take the next opportunity that presented itself. What I called job security was only an illusion. I couldn’t help but imagine what would have happened if I had actually made a mistake in this company. Automation can be an asset to a company, but there needs to be a way for humans to take over if the machine makes a mistake. I missed three weeks of pay because no one could stop the machine. The practice of buying followers risks eroding trust and therefore damaging one of the fastest-growing areas of advertising – the billion-dollar-a-year market now known as “influencer marketing” – and Unilever says it wants it to stop. Its chief marketing officer, Keith Weed, will pledge on Monday that the maker of Dove soap and Hellmann’s mayonnaise will never buy followers or work with influencers who buy followers. It will also prioritize social media platforms that take action to stamp out fraud and increase transparency. The announcement comes four months after Weed made waves by threatening to pull investment from digital platforms such as Facebook and Google if they did not take steps to improve consumer trust and eradicate “toxic” online content. It also comes as Unilever and rival Procter & Gamble audit their advertising spending and agency relationships in efforts to operate more efficiently as sales growth of consumer packaged goods slows. They are working with fewer agencies, creating fewer ads and bringing some marketing work in-house. It was just eight years ago that the IceCube detector, a research center located at the South Pole to detect neutrinos emanating from the cosmos, was commissioned. Three years later, it began to register the first momentous results. The detection of high-energy neutrinos by IceCube made viable completely new options for explaining how our universe works. “These neutrinos with their considerable energy are cosmic messengers we have never encountered before and it is extremely important that we understand exactly what they are telling us,” explained Dr. Ranjan Laha of Johannes Gutenberg University Mainz (JGU). Working in collaboration with a colleague at Stanford University in the USA, the Mainz-based physicist has put forward a new hypothesis on what this interstellar message carrier might be. The two physicists have calculated that what has been detected could be the track of a high-energy tau particle that transited the IceCube detector. [Tim] Cook still sees an opening to engage on the trade issue because of disagreement inside the White House, and he doubts that a trade war — or Chinese retaliation against Apple — ultimately will happen, this person said. “He’s willing to put a brave face on and work with the Trump administration because they probably have more at stake than any other tech company when it comes to China and the tariffs,” said Gene Munster, a longtime Apple analyst and partner at the investment firm Loup Ventures. …The company has reason to fear retaliation. In 2014, the Obama administration indicted five Chinese military hackers, stoking tensions already high from leaks about American surveillance from the former government contractor Edward J. Snowden. Months later, Chinese regulators delayed approvals of the iPhone 6 for additional security reviews. Apple executives perceived the moves as retaliation, said people familiar with the matter, which has not been previously reported. Apple’s primary leverage with the Chinese government is Chinese consumers’ love for Apple products, said Dean Garfield, head of the Information Technology Industry Council, a trade group that represents Apple and other tech companies. This appeared on Monday; the next day, Trump said he would put tariffs on more Chinese products, and China said it would retaliate. Apple is such an obvious target for China that it would almost be surprising if the government there didn’t create problems for the iPhone as a means of creating problems for Trump.